للمسافرين الذين يرغبون أن يعيشو كل ما تقدمه ملبورن, Best Western The Travel Inn Hotel هو الخيار الأمثل. يقع مركز المدينة المثير على بعد 2 km فقط. إن سهولة الوصول من الفندق إلى المعالم السياحية الشهيرة الكثيرة في المدينة كمثل Readings Book Shop, سينما نوفا, Consulate General of Spain هو استثنائي بحد ذاته. ببساطة كل الخدمات وأساليب الضيافة التي تشتهر بها Best Western International تجعلك تشعر وكأنك في بيتك. يمكن لضيوف الفندق الاستمتاع بالميزات التالية على أرض الفندق: مرافق مخصصة لذوي الاحتياجات الخاصة, تسجيل وصول/خروج سريع, تخزين الأمتعة, واي فاي في المناطق العامة, صف السيارات . في Best Western The Travel Inn Hotel غرف نوم يزيد عددها عن 100 صممت بذوق وعناية لتوفر لك كل وسائل الراحة . بعضها يحتوي أضاً على تلفزيون بشاشة مسطحة, حوض الاسترخاء, غرف لغير المدخنين, مكيف هواء, تدفئة. صممت خدمات الاستجمام في الفندق والتي تتضمن مركز للياقة البدنية, حمام سباحة خارجي لمساعدتك على الاسترخاء والراحة. إن Best Western The Travel Inn Hotel هو خيار ذكي بالنسبة للمسافرين إلى ملبورن، بما يوفره من إقامة هادئة ومرحة. I found the hotel on line,on arrival we found the rooms to look nothing at all like they did on line. The room was not nice at all! On line it said all rooms had foxtel but they did not,when we rang reception to ask about it Morgan was very rude!! On line it also said parking was free but it wasnt! All on All i would not recommend it to anyone and we will not EVER be staying again. Disappointed noisey rundown and car park very difficult to park unless you have a small car. Clean, safe accommodation. Carpark onsite is fantastic, however somewhat tight for larger cars. Only issue was we were told carparking was included in our Tarif and it wasn't upon checkin. I have stayed here previously and always enjoyed my stay. I found the hotel overall something was not right - not sure if ownership has changed but our room was average I will check but pretty sure not what I requested or it was the smallest king bed ever. Television reception was dreadful - breakfast was very poor for the price - scrambled eggs has a thick film on them from being in a warmer to long - no flavour- when I asked for a fried egg it was at extra $$ I was shocked - service was poor and like a performance and I saw some guests being barked at for finding their own table after waiting to be seated too long - constantly had to ask for tea/coffee refills gave up in the end and made it in my room. Air cond was dreadful, old, noisy and insufficient- I travel to Melbourne every 4 weeks and will need to find something else next month . 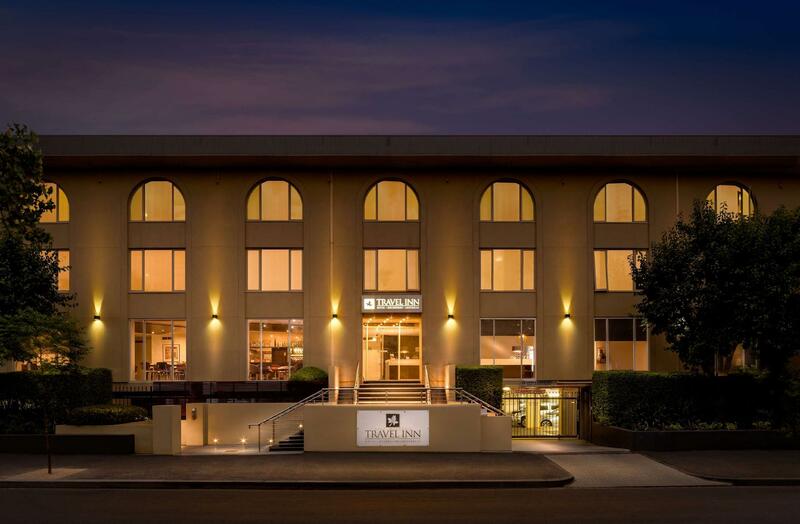 God quality amenities, best location in Carlton. Very helpful staff. Good location and really good overall. Spent few days in melbourne and loved being able to walk to city for shops and a musical. Then in evening just a block away from famous Lygon st eat street. Room cleaned every day. Comfy bed. Could be a bit noisy if heated pool is used. Nice little area to sit outside after big day shopping. They charged me an extra $20 parking because I made my booking through Agoda. The male on the reception desk was quite rude about it and told me I should have booked directly with the hotel. It would have been cheaper to have stayed at my usual hotel. Won't be going back! 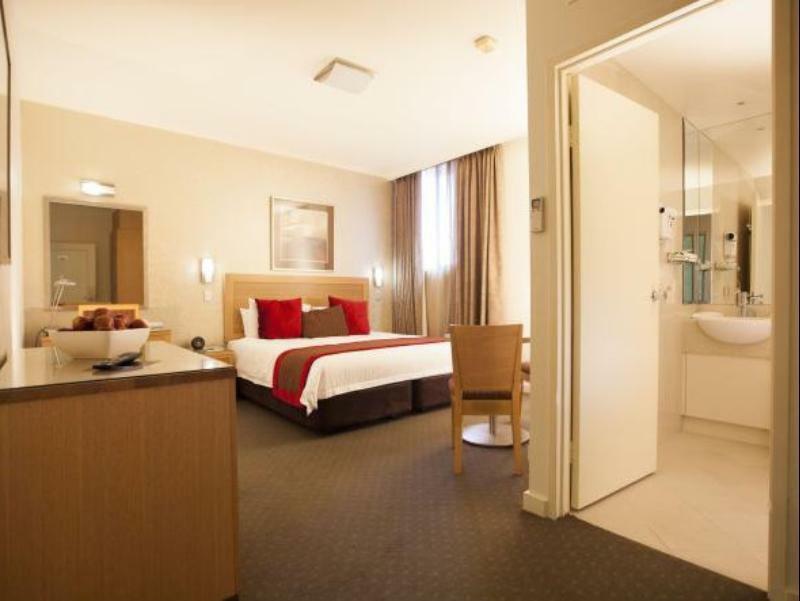 Stay at Travel Inn whenever staying overnight in Melbourne because good value for money, friendly, helpful staff and just around the corner from restaurants in lygon st.
My stay was too short. I was so impressed that I will be booking my next stay soon.